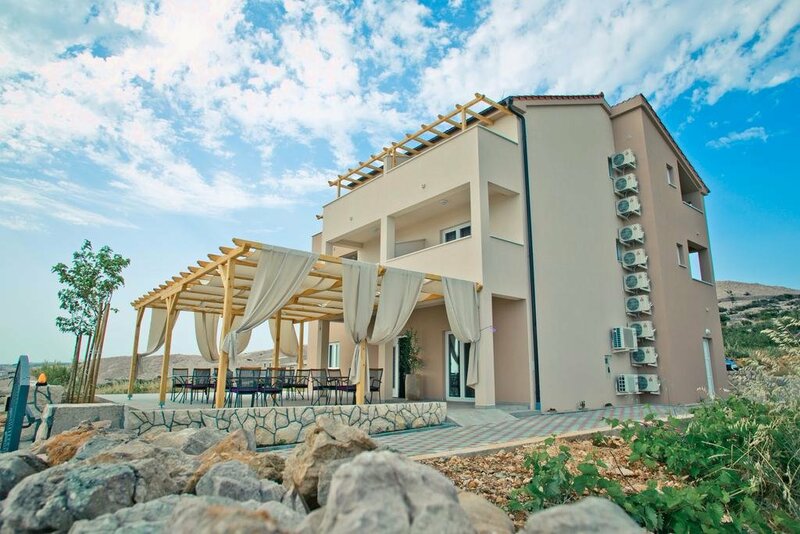 Hotel Marta & Tona is located in the small town of Kustici on the north side of Pag bay. The place exudes with clean sea, beaches and Mediterranean character. It is surrounded by sandy beaches on both sides of the bay and provides you good family or youthful vacation. Kustiæi are located 7 km from the popular tourist center, the town of Novalja, and 4 km from the beach Zrce which held the largest parties in Europe. N +44° 31' 51" | E +14° 57' 52"